Five Despard artists Finalist ! 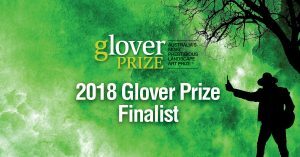 Despard Gallery is excited to have five of our great artists in the Glover Prize finalist this year. Wayne Brookes, Rodney Pople, Josh Foley, Michael Muruste and Richard Dunlop made it to the Top 42! Josh Foley won the prestigious prize in 2011 with his painting Gee’s Lookout as well as Rodney Pople in 2012 with is controversial Port Arthur painting. Congratulation and Good luck to all of them!